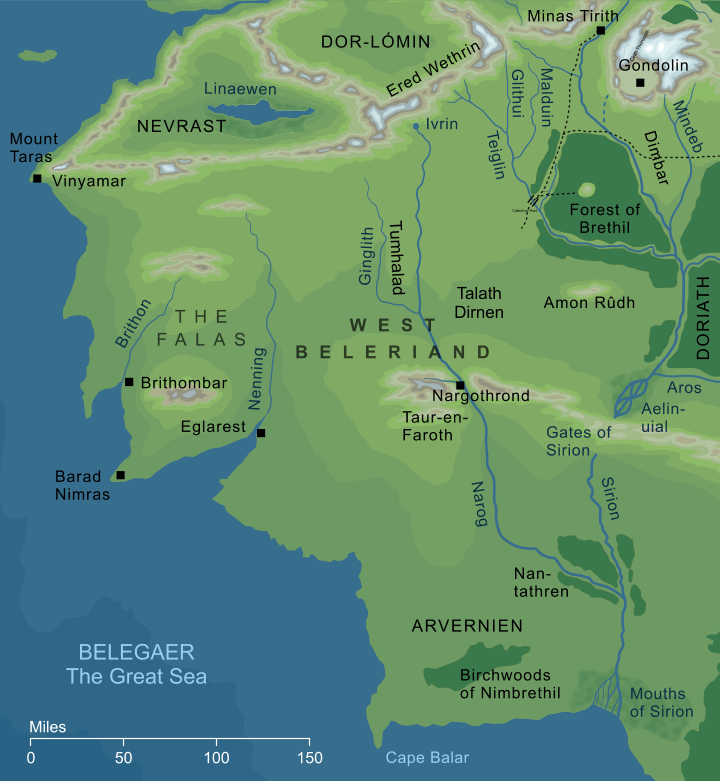 A broad term for the lands of Beleriand westward of the river Sirion. The dominant power in this area was Nargothrond, whose realm stretched far and wide from Finrod's great underground stronghold on Narog. On the western coasts lay the Falas, the shoreland realm of Cìrdan the Shipwright, while to the northeast a nation of Men arose in the Forest of Brethil.  According to tradition, there were also communities of Dark Elves scattered across the wooded plains of West Beleriand. The Havens of the Falas were overcome by Morgoth in I 473, causing their inhabitants to flee to the Isle of Balar, and Nargothrond stood only a few years longer before it was sacked by Glaurung in I 495. After this time West Beleriand became a wild and dangerous place, and Orcs moved freely in its northern regions. In principle, if Tol Morwen survived, we'd also expect that higher nearby land such as Amon Rûdh or Amon Obel would also have remained above the Sea as islands in their own right. This is not impossible, though no such islands are recorded. Alternatively, the Stone of the Hapless was given some special protection - presumably by the Valar - that allowed it to remain in place while the surrounding lands were drowned.